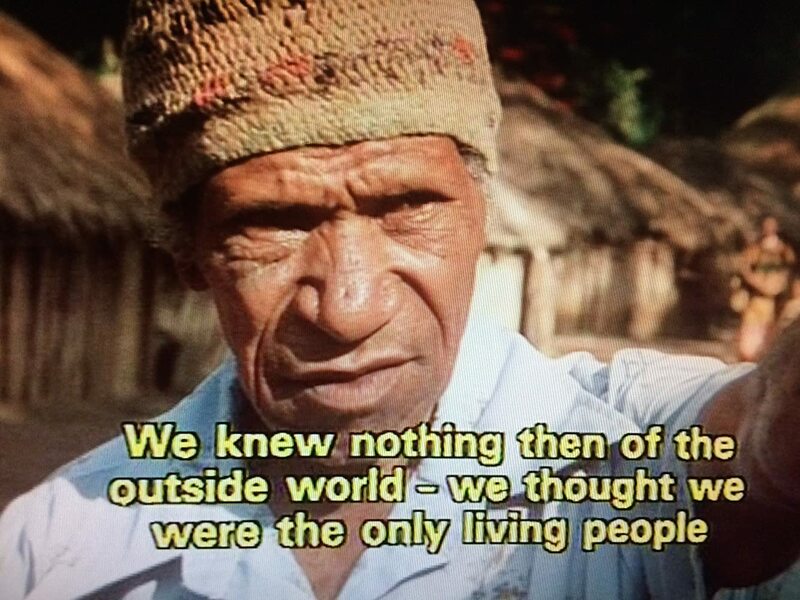 tribespeople who had previously had no contact with the outside world. Amazingly, they took a film camera with them. NOTE that we are showing this on the FOURTH Sunday of the month (April 28) rather that the usual third Sunday. Our own in-house Anthropologist, Roger Newman, has graciously agreed to help in discussing this amazing film. Please be perfume-free when you come. Email Mary to let her know you’re coming—both for directions and to ensure comfortable seating both for you and others. Also please let Mary know if you have signed up and find yourself unable to attend so that your seat can be available for someone else. Please feel free to bring snacks to share.